Duplicate your car key to avoid any struggle when you have lost your keys or are stuck with a pair that doesn’t work anymore. So why not go for a car key duplication and get your transponder or smart key made as well as reprogrammed again? We at Car Keys Pro are the experts of keys and locks as we know our way around every issue that you might be facing. As a matter of fact, we have been replacing damaged car keys and issuing new ones for lost pair since years now. Irrespective of your issue and the make of your car, we are always there to assist you for your convenience. 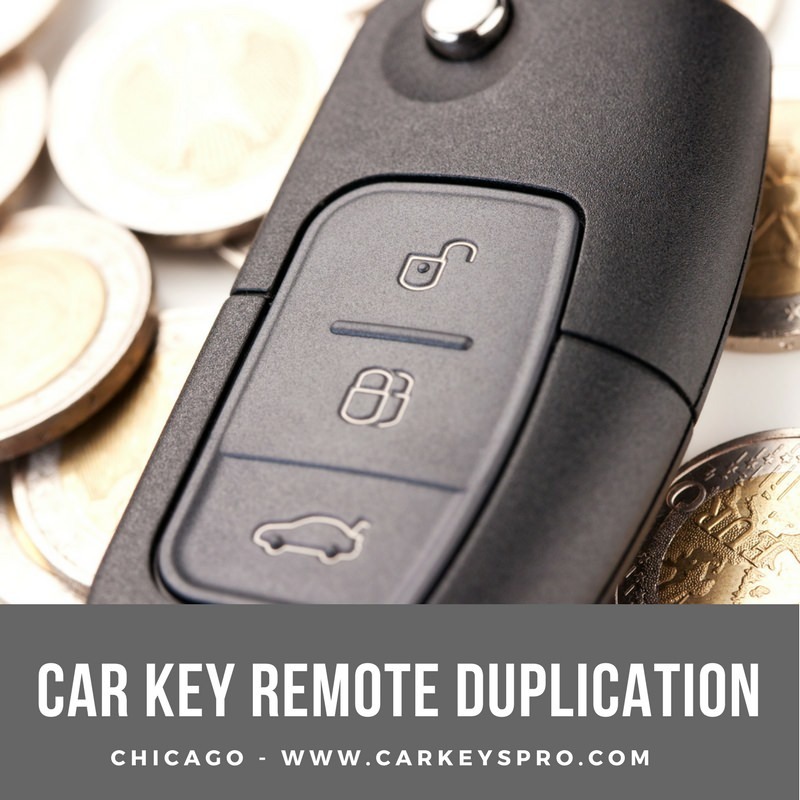 Where To Duplicate Your Key Remote In Chicago? We at Car Keys Pro provide you with 24/7 assistance and are always ready to help out in emergency situations requiring key replacement or duplicaton. By duplicating your smart key and reprogramming your control or transponder chip, we save you from a ton of hassle. Our service saves your efforts, time as well as money for good. We are transparent in our working and billing which is why you are let in on every minute detail and are not charged a penny more than the reasonable cost. We are capable of duplicating and reprogramming every type of key, irrespective of the model of the car. So be it any issue or problem, any car model of any make- Car Keys Pro’s highly professional and efficient technical team can get you the best fitted solutions to your car Key duplication problems within a few minutes of your request. It is fairly common an issue- to have lost a car key or to damage it while struggling with the ignition switch. Or you might want a duplication to play it safe. Whatever your requirement is, Car Keys Pro’s competent team will be able to help out for sure. Just be ready with your copy of the key, car documents, identification and VIN number. Our technicians will use state of the art tools, software and their skills to pop a shiny new remote smart key for your car. Your remote key doesn’t work anymore- This is a technical issue where remotes stop working and you might not be able to use the key to remotely lock or unlock your car. Damage of key- This is one of the most common reasons why people opt for a remote key duplication. Occurring usually after a struggle with the ignition key, the problem can be easily solved by getting a smart key replacement. Safety issues- Sometimes, people tend to lose their car keys and misplace them as well. To avert problems and delays during such problems, people often go for remote smart key duplication for safekeeping. It is a recommended practice for all car owners. For an immediate car key duplication, give us a call and ask for our service. Our team does a quick on site programming and replaces your key with ease, with no time or money to waste.